To continue to deliver on its brand promise and cater to its expansion, Eurokars Group has opened an integrated and one-stop aftersales facility. This S$70 million and 430,000 square feet facility in Tanjong Penjuru in the Western part of Singapore houses its aftersales operations and serves as a one-stop hub for repairs and maintenance, pre-delivery inspection, body repair and spray painting, as well as warehousing of all the brands under the group. The Eurokars Aftersales Centre aims to provide Eurokars Group’s customers with a seamless experience whereby they can have all their aftersales needs and service requirements met in one place. 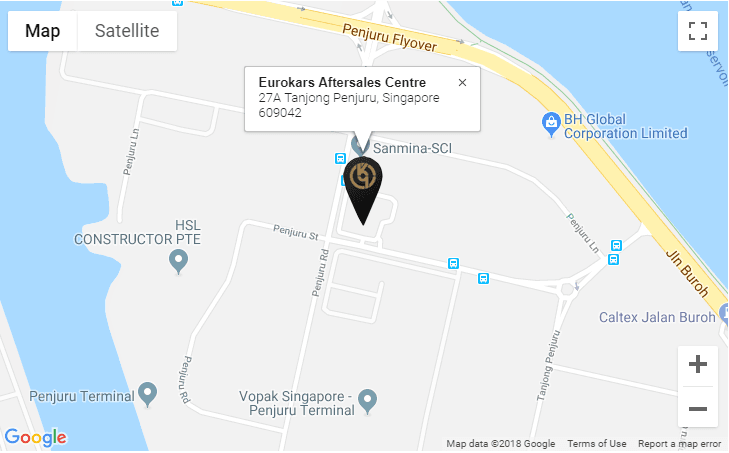 Located at 27A Tanjong Penjuru, the Eurokars Aftersales Centre is conveniently situated in the western region of Singapore with easy access from the Ayer Rajah Expressway and West Coast Highway, and in close proximity to Eurokars Group’s showrooms along the Leng Kee automotive belt.